Have you or a loved one suffered serious side effects from the prescription blood thinner, Xarelto? No Expenses or Fees Unless You Win Your Xarelto Lawsuit! Xarelto lawsuits have been filed across the nation alleging that patients who take Xarelto suffered severe, life-threatening internal bleeding. Xarelto is a powerful anti-coagulant drug that is suspected to have caused over 18,000 patients to suffer adverse symptoms, and out of those 18,000, 370 have died from taking the medication. Now, numerous lawsuits are pending across the nation filed by people, just like you, who were injured after taking the drug, or their families because the drug killed them. If you suspect that your loved one died as a result of taking Xarelto or you suffered severe internal bleeding that required hospitalization and treatment to cure, you might be entitled to financial compensation. The national law firm of Parker Waichman LLP is renowned for vigorously pursuing the rights of victims who were injured or killed because of the negligence of the country’s largest drug manufacturers. Our Xarelto lawyers from Parker Waichman LLP will work diligently on your behalf to recover financial compensation for injuries or death due to internal bleeding from taking Xarelto as prescribed. Xarelto is a powerful medication doctors prescribe to patients whose medical conditions necessitate an anti-coagulant. 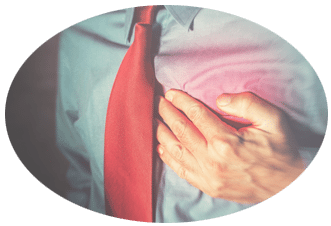 People whose blood coagulates or clots quickly are at risk of suffering fatal heart attacks and strokes because the clot prevents blood from flowing. Xarelto thins the blood. Consequently, the patient’s blood does not form a clot as readily as it does without the benefit of the medication. The United States Food and Drug Administration (FDA) approved Xarelto for use in 2011. The FDA approved Xarelto for patients who were undergoing hip and knee replacement surgery. After that, the FDA approved the medication to treat patients at risk for suffering a stroke due to an irregular heartbeat. Johnson & Johnson and Bayer jointly researched and produced the drug. It is an incredibly lucrative product for both of these companies. Xarelto is Bayer’s largest selling drug and is Johnson & Johnson’s third most successful brand. Bayer continues to manufacture the product and Johnson & Johnson market the product. Xarelto rakes in enormous amounts of money, even for these two giant companies. Bayer took in $ 3.24 billion in 2016 from sales of Xarelto. Johnson & Johnson amassed $2.29 billion from selling Xarelto. As will be discussed further, it is little wonder, then that these companies are working hard to defend against claims leveled by those who fell sick or died from taking Xarelto. There is just too much money at stake not to zealously defend these international drug companies. Blood clotting prevents wounds from continuously bleeding. However, a person who is taking an anticoagulant drug cannot stop the flow of blood. That is why taking Xarelto is so dangerous: wounds may not stop bleeding if blood fails to clot. As a result, internal bleeding is especially troublesome. Unlike an external injury which can readily be observed, locating the source of internal bleeding requires invasion surgical procedures. What Are the Serious Side Effects Linked to Xarelto? These symptoms necessitate immediate emergency medical attention. Also, the FDA draws users’ attention to the possibility that a person might merely bruise easier from taking the drug. The FDA suggests that a patient seek medical advice if the patient notices that bruising is frequent or unusual in any way or that you cannot stop external bleeding. 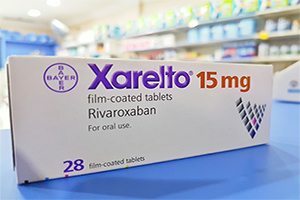 How Have People Died From Xarelto? What Can Doctors Do to Combat Internal Bleeding? The makers of Xarelto counsel physicians and patients that if there is a bleeding problem, the patient must discontinue taking Xarelto immediately. Unlike Coumadin, the name brand for the drug warfarin, Xarelto has no antidote. In other words, there is no other drug available that will counteract the effects of Xarelto. That leaves physicians to contemplate two treatment options. First, the patient can undergo a blood transfusion. Second, the half-life of the drug is 5 to 9 hours in an adult. So, the best course of action might be to stop taking the medication and let the body digest and metabolize the drugs. The warning label affixed to Xarelto’s packaging explicitly states that it has a tendency to bind to proteins. Consequently, kidney dialysis cannot remove the toxins from the body and the drug continues to seep out of wounded vessels and into the body cavity. There are currently 18,000 lawsuits nationwide claiming that the manufacturers of Xarelto made false claims about the drug and hid the potentially lethal side effects the drug might cause. 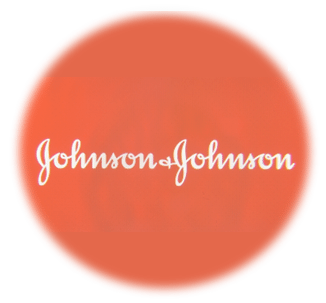 By and large, the suits allege that Johnson & Johnson and Bayer concealed the risk of death and severe illness due to blood loss from doctors, patients, and the FDA as well. The attorneys defending Xarelto’s manufacturers have a different opinion, naturally. The drug companies’ lawyers defended their clients’ actions and inaction by stating that patients would have taken the drug anyway, even if the packaging would have alerted the prescriber to more severe side effects than initially indicated. The defendants’ attorneys also point out to the courts that the FDA approved the drug for the uses for which it is prescribed. Drug companies large and small owe an unrelenting duty to the public and their consumers to make sure that the drugs they market are safe and designed to treat the symptoms approved by the FDA. Drug manufacturers must accurately and thoroughly label its medications and warn of the potential side effects. Doing so allows patients to make an informed decision about their treatment instead of unwittingly taking a drug that could kill them. At Parker Waichman LLP, our Xarelto Lawsuit Attorneys truly understand how devastating personal injuries can be, as it is not only pain and emotional harm that afflicts victims, but they also face medical bills that can seem never-ending. Our national plaintiff’s personal injury law firm has achieved national recognition for its dedicated representation of clients who have suffered horrific and debilitating injuries. The Defective Drug Attorneys of Parker Waichman LLP always place their focus on the client – the individual who has suffered extensively through no fault of his or her own.